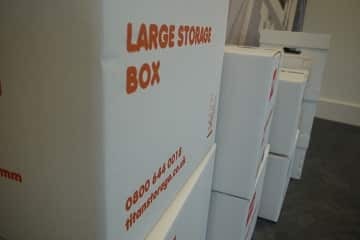 If you’re in the process of moving house or decluttering your office, or you’re looking for a secure space to archive your stock, our local storage facility near to Redditch should be your first port of call. 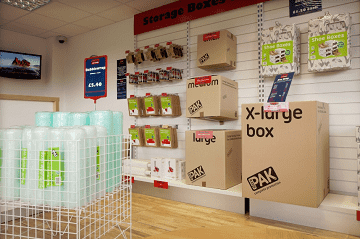 Ideally situated in Solihull near to Redditch, our secure storage spaces provide the perfect base to meet your personal and business storage requirements. Over the years, we’ve earned a reputation for providing premium storage that accommodates all of your needs. 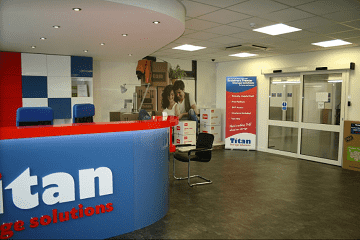 Whether you’re looking for personal or business storage near to Redditch, make sure Titan Storage Solutions Solihull is your first port of call. Our Solihull site is conveniently located just a 30-minute drive away from the centre of Redditch and our clean, modern and spacious storage facilities are perfectly equipped to store a variety of different goods. If you’re travelling by car, you will find plenty of car parking, loading bays and trollies available to use on site. To get to Titan Storage Solihull from Redditch, take Easemore Road and Archer Road to Coventry Highway/A4023. Continue on Coventry Highway/A4023. Drive from A435, Broad Ln/B4101, B4102 and Creynolds Ln to Shirley. Next, take Highlands Rd to Stirling Rd, take a slight left towards Highlands Road, and at the roundabout, take the first exit, staying on Highlands Road. Turn left onto Stirling Road and you’ll find us on the left.